Have an egg-cellent Easter this year with these cracking treats from LUSH. LUSH always bring out newbie products for each special occasion throughout the years and I'm always head over heels for anything LUSH. In fact I have my own mini store at home as I just want to own one of everything they bring out. Niah loves her LUSH and every night in the bath will want something in their with her from bath melts to bath bombs and bubble bars. I would definitely say Niah is probably the youngest LUSH addict out there. 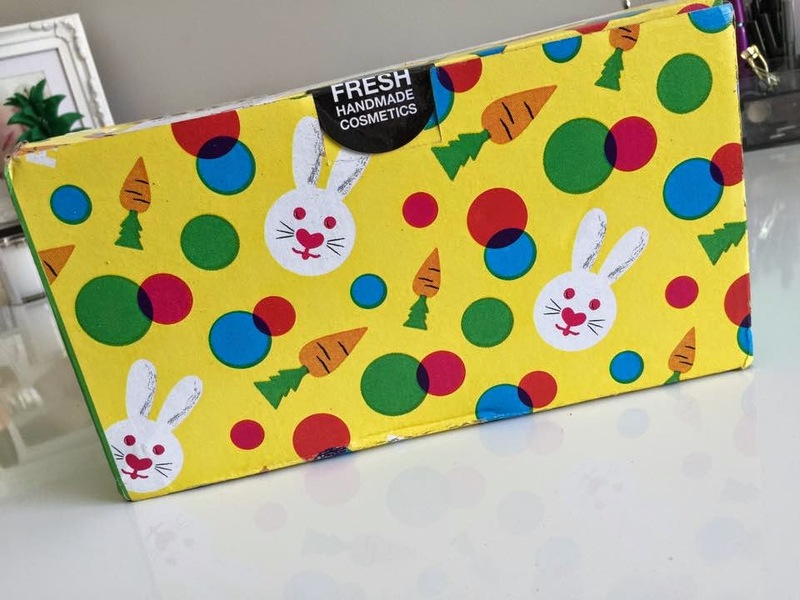 If you ordered online through LUSH during the Easter period you will have received the cutest little packaging ever - I wanted to give some appreciation and admiration to how LUSH really do go all out and make things so much more special for you. The packaging was 'tots cute'. Receiving packages from LUSH and hearing about new releases from LUSH gets me super excited. 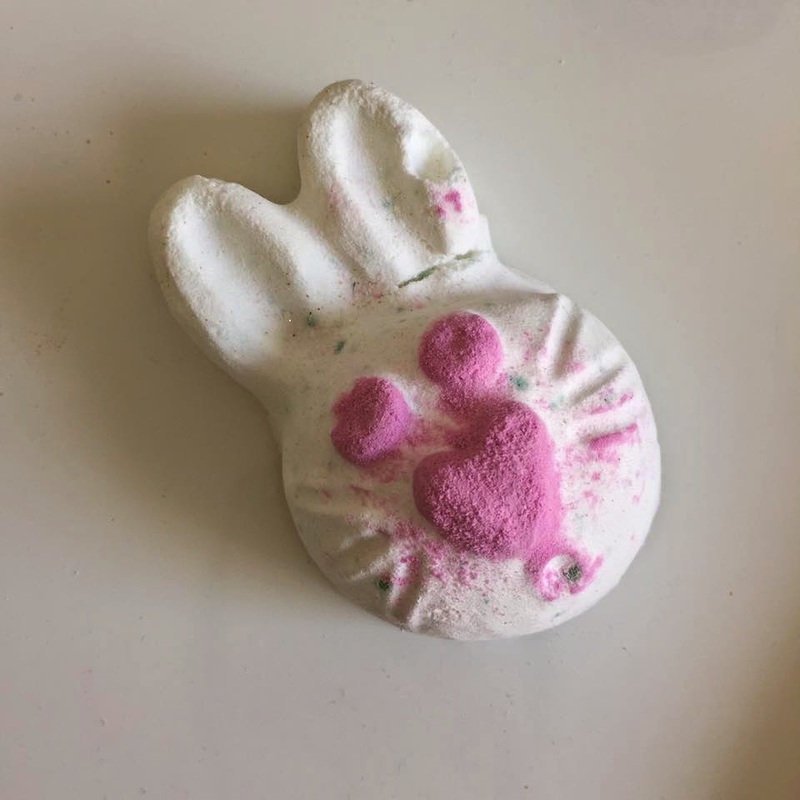 A white and pink shaped bunny bath bomb that burts the bath into a light cloudy pink color and fizzes away quickly leaving a bath scented with fresh herbs. 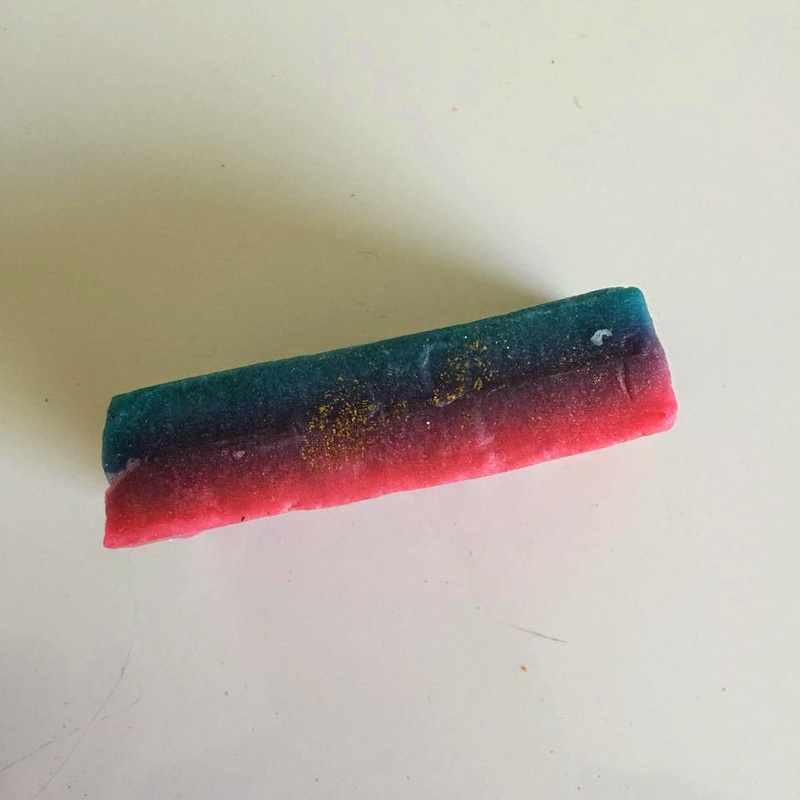 You will notice that the Hoppity Poppity has little green specs on it, well this is the talented and extra added fun for the kids or yourself as it's popping candy. Listen to it fizzle away, after all it wasn't called 'Hoppity Poppity' for no reason. A soap thats scented with a sweet citrus smell. Stunning funky soap colors of a mixture of blue as base and tops of either pink, orange or yellow depending on where your soap was cut from on the big block. Why use plain old shower gel when you can wash yourself with jelly? I really like the concept of having a jelly like product that makes it fun for the kids to use. 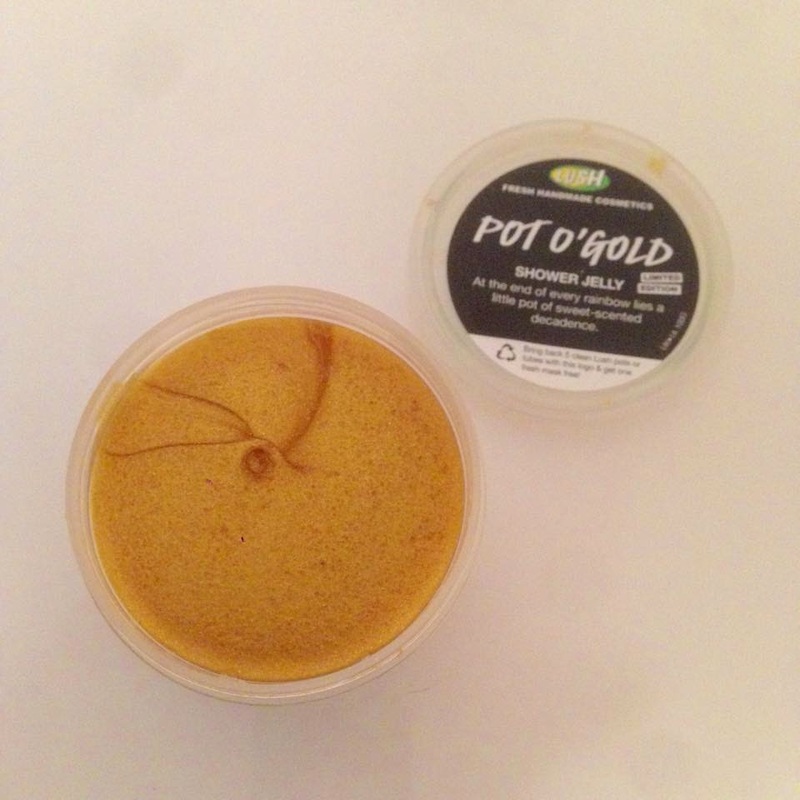 The jelly is a complete liquid gold glitter colour that smells edible. Scents of myrrh and warm vanilla is what really gets me going about this product, leaving your skin gorgeously scent for this Easter. Definitely my most favourite shower jelly from LUSH. The stunning comeback of a re-usable bubble bar to add fun into the bath. 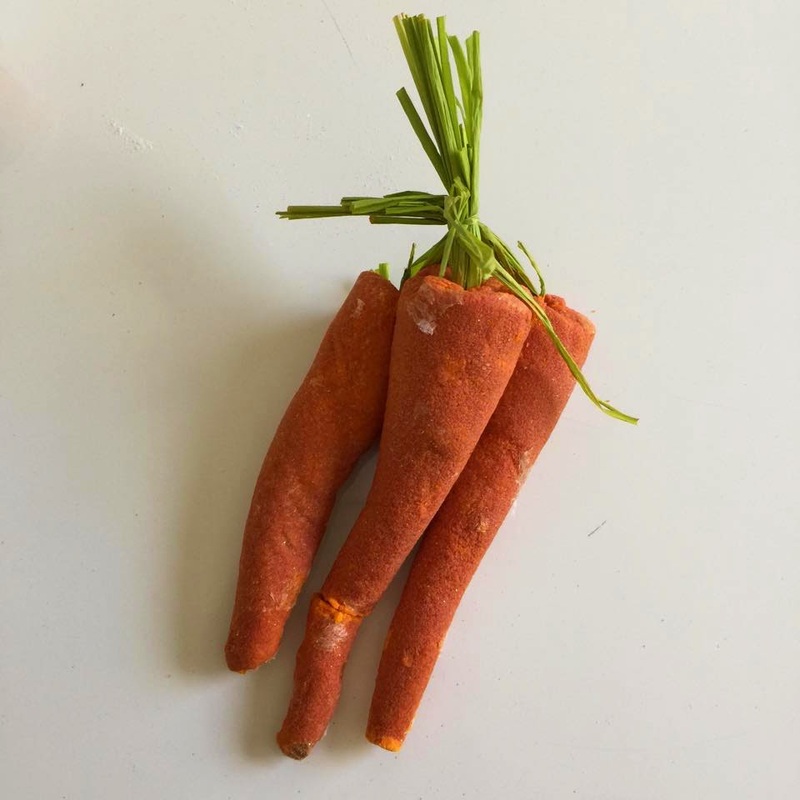 Bunch of Carrots is another citrus type scented product in the shape of real carrots, the bunch of carrots comes in a lot of three (3). They're absolutely adorable and even my little one pointed out clearly that they were carrots. 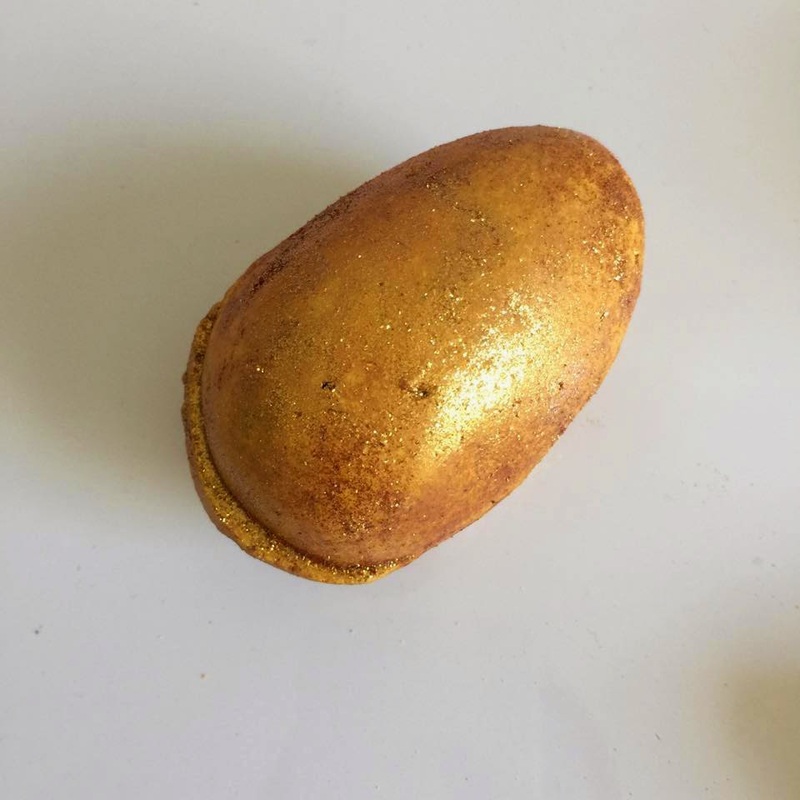 Glitter and shimmer everywhere is what you will see when you drop this baby into your bath, a bath melt that is filled with cocoa butter to leave your skin moisturised and ready to add some shine into your skin with the shimmer. Hop into your nearest LUSH store to pick up some #ethicaleggs for your loved ones or yourself this Easter, there's something for everyone there.